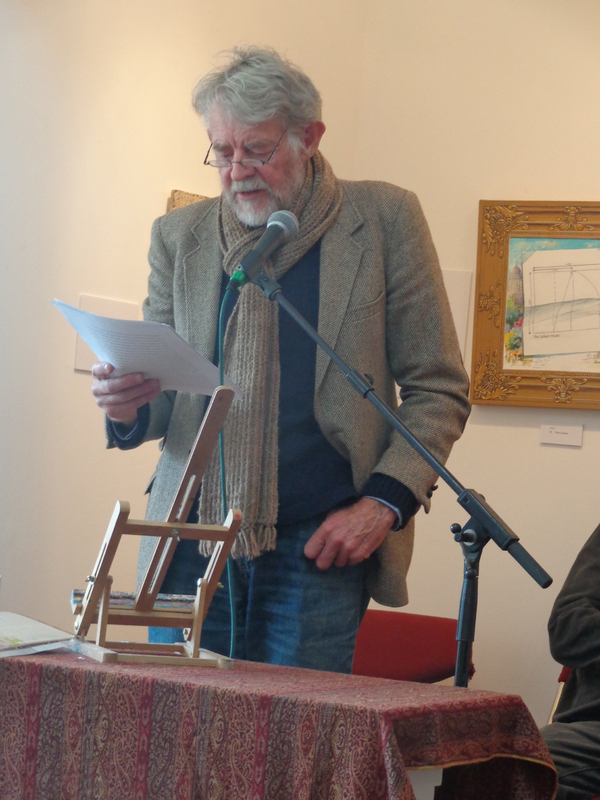 By the time I arrived at Bellamys this morning John and Pauline had not only collected the seating but also arranged it so everyone would be able to view the poets. 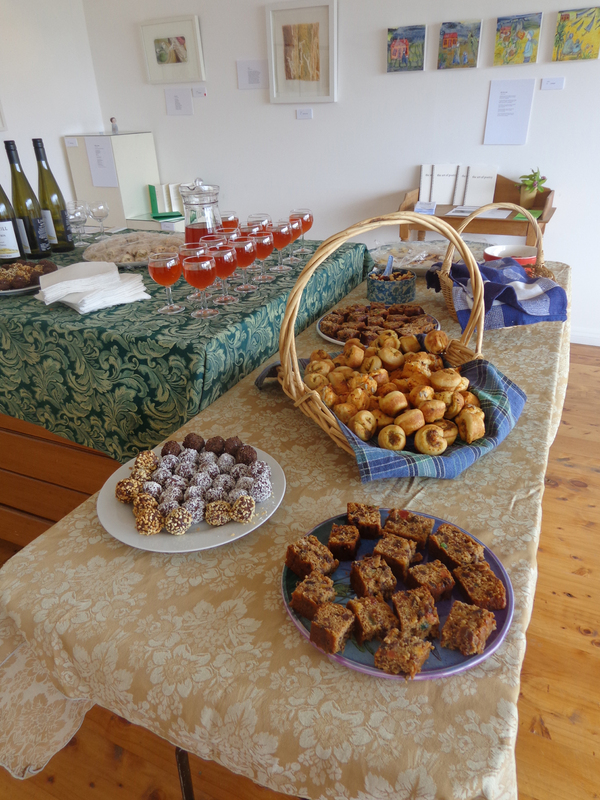 All I had to do was set out the food, organise the drinks and fluff around until our first audience members arrived. All 60 seats were sat upon so we had a Full House. I intended to capture all the audience but after taking one photo I was distracted and then just plain forgot! 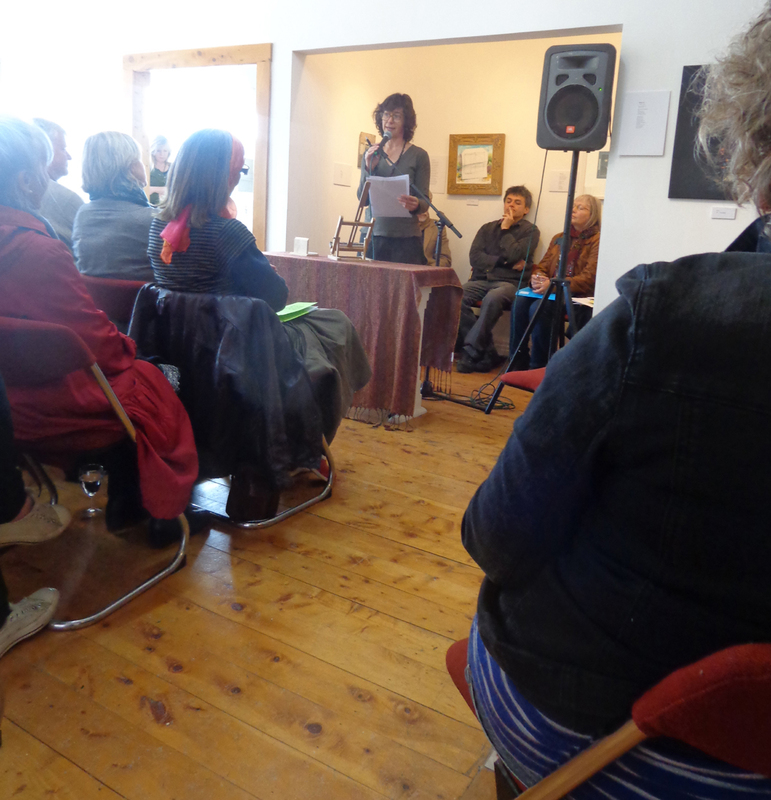 Please excuse the poor quality of photos – I planned to take heaps but I was enjoying the readings so much I set the camera down and then it was a case of oops quick grab a photo before he/she sits down. 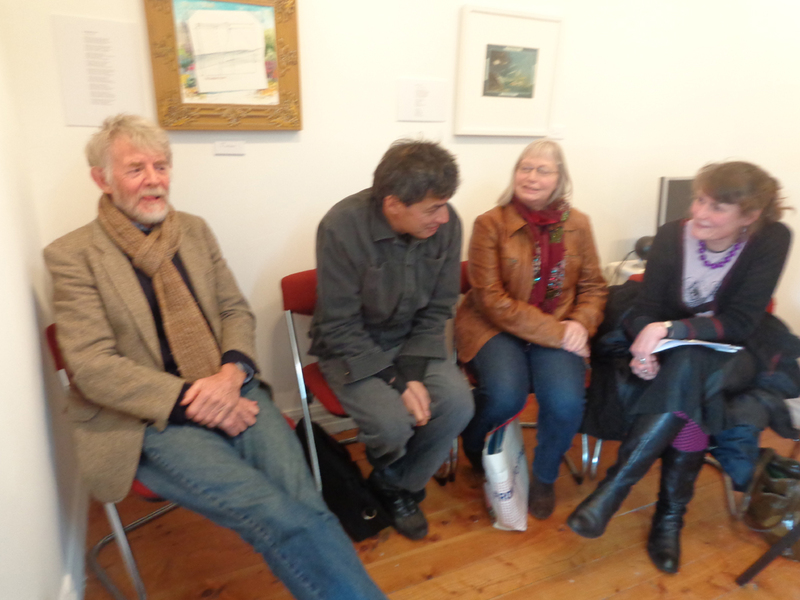 The Four Poets – Brian Turner, David Eggleton, Kay McKenzie Cooke and Emma Neale waiting while Sue Wootton makes the introductions. Sue is a wonderful MC . 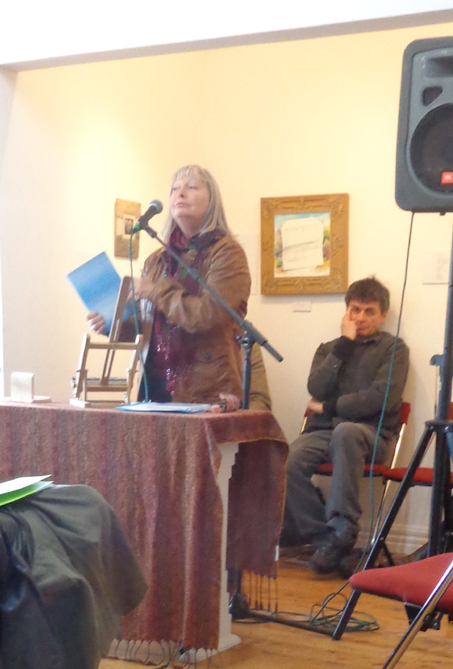 Her background research on each reader was spot on and she has this knack of making both the audience and poets feel at ease. with David closing the show. 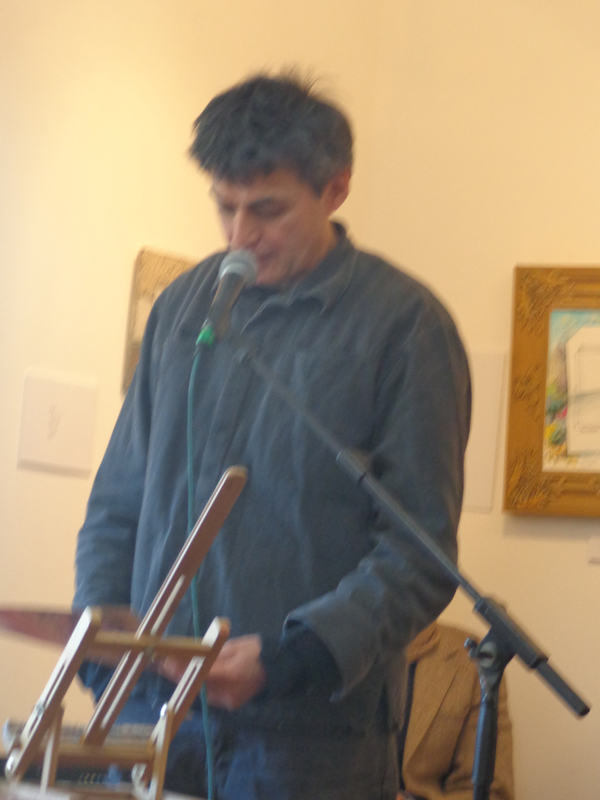 The photos seem to get blurrier as the readings progressed. I assure you no alcohol was consumed before or during the reading. You know that expression ‘a bad hair day’ well for me it was a ‘bad camera day’. 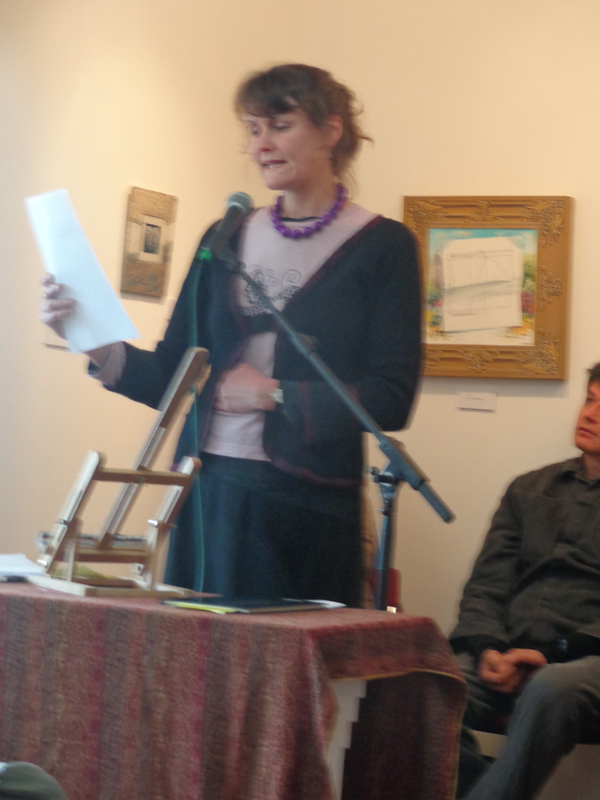 The poets, Sue, the audience, my catering mates, the Bellamys and my ever supportive husband, Barry, all made this event thoroughly enjoyable. Thank you all. This entry was posted in Uncategorized and tagged Art Exhibition, Bellamys at Five, Brian Turner, David Eggleton, Emma Neale, Four poets at "Bellamys at Five", Kay McKenzie Cooke, PoArtry exhibition, Poems in the Waiting Room (NZ), Sue Wootton. Bookmark the permalink.